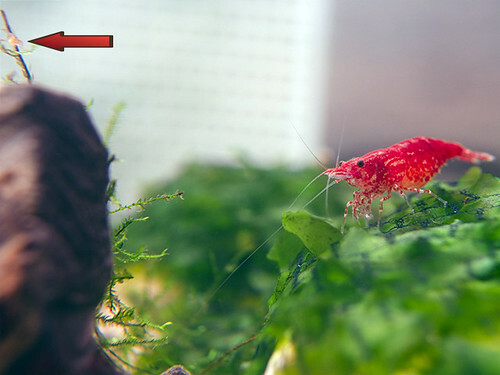 After an earlier aborted attempt by my RCS to give birth, my first shrimplet. Thank you. About 5-6 that I can see. Hope more have made it. Yeah! They must be hiding here and their. You will see them in few days. congrats.. soon you will more numbers of shrimplets.. congrats!!! i'm sure there are more than 10 at least. unless you kept the shrimps in a community tank!